Let us know what you need or think. We invite committed and dynamic individuals to be part of our team. Get Action Alerts. Sign up here to stay current on latest news. Andrew Tjioe was appointed to the Board since 28 September 2000, and is a Member of the Nominating Committee and Executive Committee. In July 2006, he was appointed as President & CEO, and continues to spearhead the Group’s overall direction. 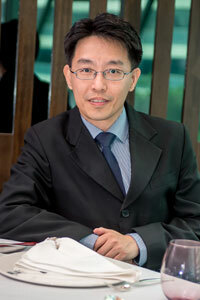 He founded Tung Lok Shark’s Fin Restaurant Pte Ltd in 1984. He has since established a chain of reputable restaurants in Singapore, Indonesia, Japan, China and Vietnam. In 2008, Mr Tjioe was honoured with the International Star Diamond Lifetime Achievement Award from the New York-based American Academy of Hospitality Sciences. At the World Gourmet Summit Awards of Excellence 2011, Mr Tjioe was the winner of Ernst & Young’s Entrepreneur Of The Year Award 2011 (Lifestyle), and also the recipient of the Epicure Excellence Award 2013. 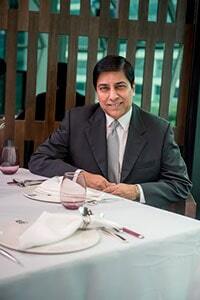 Mr Tjioe is currently the President Advisor of the Restaurant Association of Singapore (RAS); a board member of the SHATEC Institute; Vice Chairman of the Franchising and Licensing Association of Singapore; a member of the Board of Governors – World Gourmet Summit; council member of Singapore Business Federation (SBF); council member of National Productivity Council (NPC); council member of National Wages Council (NWC); a member of the Board of Governors of the Temasek Polytechnic (TP) as well as the Chairman of TP’s School of Applied Science Advisory Committee; Patron of Joo Chiat Citizens’ Consultative Committee, among others. Mr Tjioe is a Hwa Chong alumni and graduate in Business Administration from Oklahoma State University, USA. 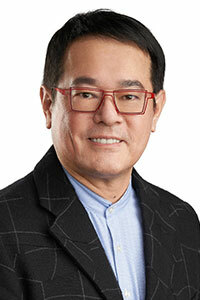 Tjioe Ka In joined TungLok Group in 1988 and is currently the Chief Operating Officer (COO) of the Group. Her primary responsibilities include strategic planning and ensuring smooth operations of TungLok restaurants. Mdm Tjioe is instrumental in the operations of TungLok’s Central Kitchen, which concentrates on the production of gourmet dim sum and snacks for both local and export markets, premium mooncakes and festive goodies such as Nian Gao and Chinese pastries. Her responsibilities include product development and planning. Mdm Tjioe is also a certified trainer in several industry related courses and contributes actively towards industry training. Mdm Tjioe holds a Bachelor of Science Degree in Hotel and Restaurant Management from Oklahoma State University, USA. Mdm Tjioe is currently a member of the Ulu Pandan Community Centre Management Committee. 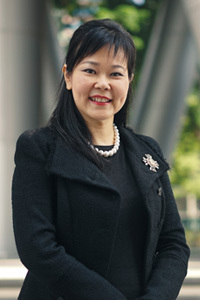 Heng Tee, a Fellow Chartered Accountant with Institute of Singapore Chartered Accountants (ISCA), joined the Group in January 2012. Armed with more than 18 years of post-graduation experience in both private and Singapore public-listed companies, he is responsible for providing strategic direction for the finance team and oversees all key financial matters of the Group. Heng Tee holds a Bachelor of Accountancy from Nanyang Technological University of Singapore. A diploma graduate in Business Studies from Ngee Ann Polytechnic, Jocelyn is armed with many years of experience in purchasing and administration. In her current capacity as Senior Vice President, Jocelyn ensures the constant and prompt supply of quality products and materials crucial to the operations of the restaurants. She also oversees the Administrative function of the Group. Carolyn joined the Group in 2002 as Marketing Communications Manager. Armed with years of experience in the marketing communications field, mainly from the hotel industry, her past employments include top hotel chains such as Westin, Hyatt, Holiday Inn, Raffles and Millennium & Copthorne International. In 2003, she was promoted to Director of Marketing, and in 2007, was appointed Vice President – Marketing & Corporate Communications. In her current capacity as Senior Vice President, she is in charge of the Marketing, Communications, Loyalty Programme and Graphics Design teams, spearheading the marketing promotional, public relations, and membership activities of the Group. She is also responsible for strategising plans to maintain the corporate and brand identify of the Group, as well as handling Special Projects. Carolyn holds a Bachelor of Arts in Mass Communications from the Royal Melbourne Institute of Technology. Vincent joined the Group in 1998 and is overall responsible for the event and catering operations of the Group. 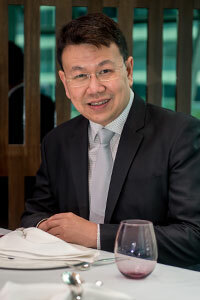 Prior to joining Tung Lok, Vincent has held key positions in various hotels in Singapore such as Boulevard Hotel, Le Meridien Singapore and Fort Canning Country Club. A graduate from SHATEC, he also holds various certificates from the American Hotels & Motels Association, Premier Sales & Marketing for Hospitality professionals from Asia Connect & HSMAI Asia Pacific and 'More Sales Thru Service Excellence' from Marketing Institute of Singapore. At the Singapore Excellence Service Award 2004 organized by SPRING Singapore & Singapore Tourism Board, he was presented with the Star Award for his outstanding contribution and commitment to providing top quality service. With a career spanning more than 28 years, Vincent plays a pivotal role in setting strategic goals for the catering team and leading the team towards achieving service excellence and offering complete and innovative event solutions to our customers. His vast experience and expertise have enabled him to constantly innovate and implement new elements for banquet and catering events which include high-profile events and state functions. Poh York joined Tung Lok in 1985 as Assistant Manager of Tung Lok Restaurant. Subsequently, she was Restaurant Manager of Grand Pavilion in 1989 and The Paramount Restaurant in 1993. In 2000, she was promoted to Senior Vice President.Poh York joined the Group in 1985 as Assistant Manager of Tung Lok Restaurant. 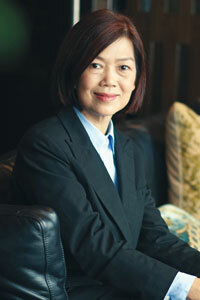 Subsequently, she became General Manager of Paramount Restaurant in 1993. 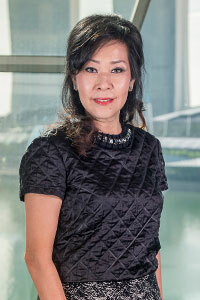 In her current capacity as Senior Vice President, Operations, she manages and oversees the daily operations of TungLok Seafood, Shin Yeh and LingZhi, as well as spearheads the implementation of the 5-S system to improve workplace organisation in the Group’s restaurants, and monitoring younger managers. A versatile professional with more than 20 years of experience in Human Resource Management, KC joined the Group in September 2017. He is tasked with implementing HR strategies including talent acquisition, staffing and succession planning, employee relations and retention, as well as training and development. Prior to joining the Group, KC had worked with a listed property developer in Hong Kong, where he had moved to since 2006. He has had first-hand experience in establishing and building HR infrastructures in the region, particularly in Hong Kong, China and Singapore. His experiences are also gathered from various industries including banking & finance, hospitality, information technology and trading. KC is a strong advocate of performance management as a key corporate strategy for building and sustaining long-term competitive advantage. Woody re-joined the Group in April 2013 handling customer relationship management and service excellence. Prior to joining the Group, he was with United Airlines as its Onboard Services-Chief Purser and Instructor based in Singapore. During his fifteen years’ service with United Airlines, he taught trainees on service excellence, food and beverage presentation skills, onboard marketing, and product offering, amongst other training programmes. His personal achievements include the “Five Star Diamond Award”, “Most Valuable Player Corporate Award”, as well as Employee of the Year 1998.